Shoot and Sell | Why Choose Shoot & Sell? Shoot & Sell wouldn’t dream of cramping your style or limiting your creativity by forcing you into a rigid template system. Common tasks like changing image sizes, adding more images or adding frames become laborious when you need to change templates first. That’s why Shoot & Sell has always allowed you to change image sizes, combine multiple images or frame any image ON THE FLY. No need to search for or create a template first. 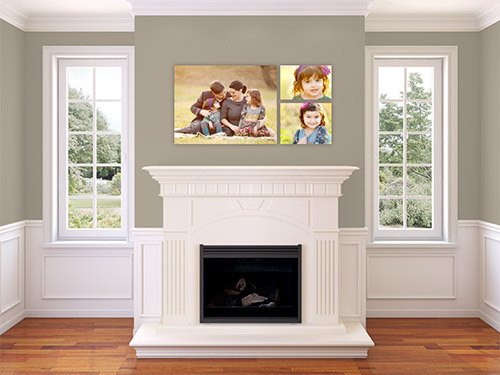 That doesn’t mean we don’t provide multi-image groupings as design guidance and as a convenient way to price a whole display because we do – it just means you have the choice and ease of use of going template free. Your creativity know no limits and neither should your app! From the unobtrusive yet intuitive icons to the convenience of a 10 level undo, Shoot & Sell was designed by Ariana Falerni with meticulous attention to the smallest visual and practical detail. When your brand is important to you, you recognize the advantage of showing your clients the very best, sleekest looking app on the market – completely uncluttered by icons, logos and navigation buttons. Simply put, Shoot & Sell lets your work SHINE. As an example of the level of attention paid to design details you need look no further than Shoot & Sell’s unique calibration tool. Other products require you to take an image of a piece of paper on your client’s wall as the only way to scale a client room image. As a designer, it was important to Ariana to keep the client room backgrounds as clean as possible without a piece of paper distracting the attention away from your images which is why she developed the unique ruler tool that lets you enter in a measurement of any element in the room – no piece of paper required! And it doesn’t end there. 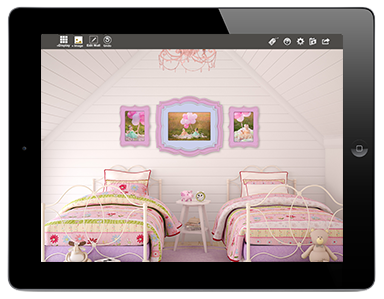 With each feature Shoot & Sell has been designed to anticipate the user’s every need, from three color options for size labels (to make sure they can be viewed on light and dark walls) to the ability to snap canvases to a grid to help with alignment – to the ability to add not one but up to THREE watermarks and even adjust the watermark opacity – Ariana has left no stone unturned in the quest for ease of use. Because Shoot & Sell includes 10 gorgeous stock room images (and the option to add more as needed) you can get started using the app right the very hot minute it finishes downloading. Let’s face it, things happen – your client may not always provide you with a room image to use. Having beautiful stock room imagery at your fingertips ensures that you can always show your clients a gorgeous display and get them to sign off on the final design prior to ordering. Getting approval on your design proof beforehand means no unhappy surprises later that can lead to costly re-prints. Stock room backgrounds also make Shoot & Sell a tool for much more than just in person sales – they also allow you to create gorgeous marketing pieces for your website, brochures, Facebook page and so much more! From illustrating your pricing guide to creating a section of your website dedicated to your ability to offer wall design as a complimentary service to your client, to sizing and cropping guides or marketing a canvas or print sale during the slow season – Shoot & Sell allows you to do all this and more. 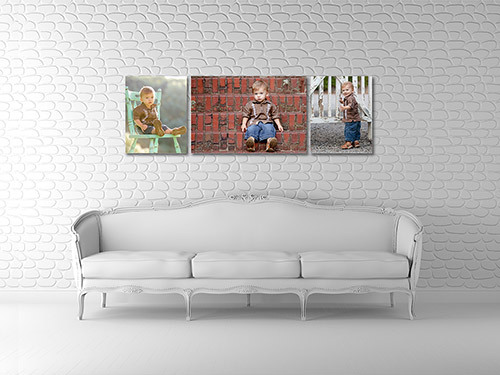 Even those who do online sales vs. in person can take advantage of the power of showing images on the wall by using our stock backgrounds to create wall design ideas to put at the end of online galleries. 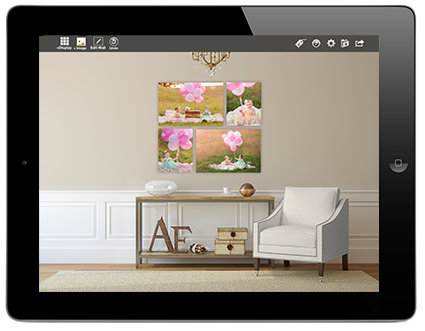 Shoot & Sell is the only app that includes the popular Organic Bloom frames. 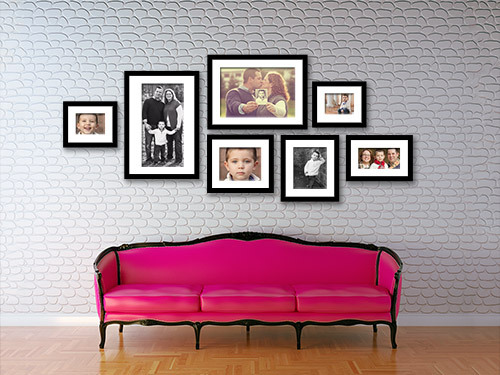 Clients love the frames for their whimsical shapes and dozens of color choices – but the number of choices can be overwhelming without a visual reference. 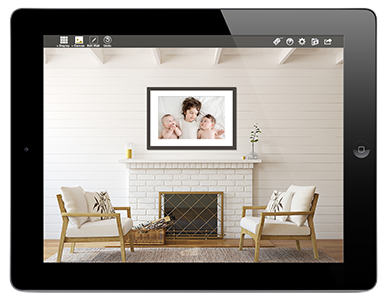 That’s why Shoot & Sell is used by Organic Bloom’s top retailers to help their clients choose which options best match the style and colors of the images AND their home decor. As photographers we are almost always multitasking and wearing many different hats from marketing maven to customer service manager to accountant and so much more! If you are working for a design idea in Shoot & Sell for marketing your next canvas sale but have a client ordering session coming up in a few hours just save your work-in-progress as a project and start a new project for your sales session! Or even save multiple projects for your upcoming sales session so that you can show your client several options and then further customize the one they like best. 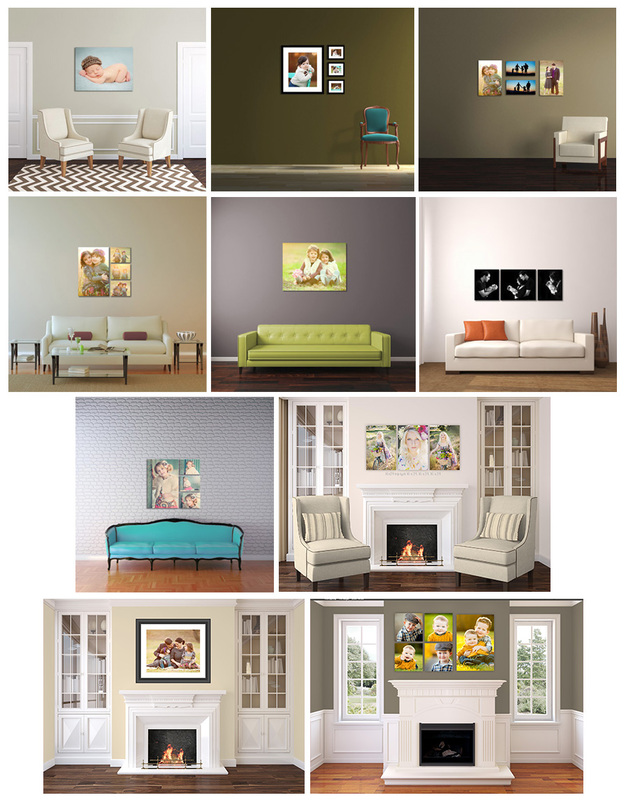 When you get back to your home or studio – simply re-open the canvas sale and resume work! Shoot & Sell is the only app that allows you to save projects because it was designed to work the way YOU work. We know that you have a multitude of choices when you decide where to invest your business dollars. And when you choose Shoot & Sell, you can rest assured that you are investing not in a popularity contest amongst products, but rather a tool designed from top to bottom and every level in between with care, attention to detail and commitment to quality. Click here for a full list of features included in Shoot & Sell, or just download now!